It’s no secret that iBuildApp lets users build a mobile app within just a few minutes. You simply open up a free account and start building, even if you don’t know how to write a single line of code. The buttons, tabs, text and media are all provided through easy interactive tools for even the least technologically advanced people to succeed. iBuildApp is just a perfect addition to Godaddy website builder. The iBuildApp platform has tons of bells and whistles to make your mobile app sing and dance for your website customers. This Mobile App Builder brings in more money for your business and let you connect with people who are interested in buying from you. Plenty of small business owners are already taking advantage of the cool features from iBuildApp app builder, so it’s time for you to start as well. Let’s take a look at why iBuildApp is much more than just a good addition to Godaddy website builder. You don’t just get a mobile app builder when you sign up for free at iBuildApp. You receive pre-built mobile app templates dedicated to a wide range of industries such as schools, sports teams, bands, auto repair shops, beauty parlors and more. Choose one of these templates that includes nice images and buttons that are more likely to be used in your industry. 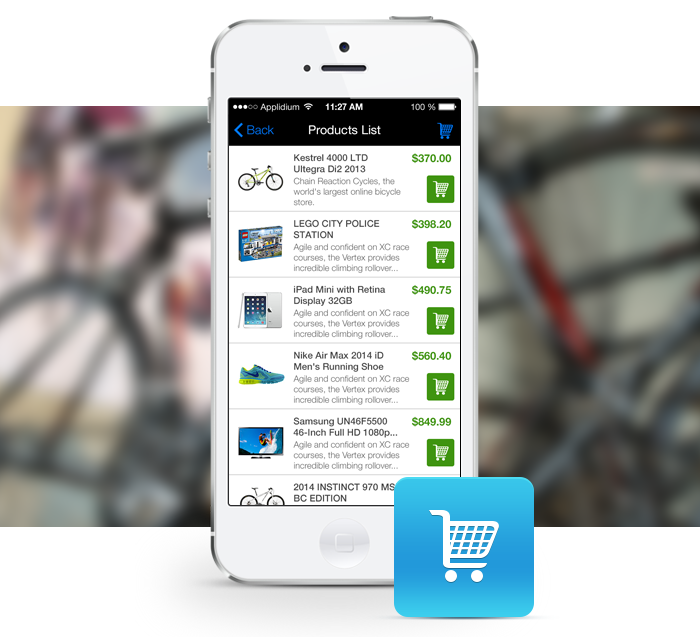 You’ll also find the iBuildApp Marketplace, where developers are able to build and sell their own unique mobile app templates to anyone on the site. So you can go on the app builder Marketplace and search for more customized mobile app templates to make your app fit your unique brand. Mobile apps are great for reading news and contacting friends through social media accounts, but what about your business? You can put a phone number or Contact page on the app to try and push more people through your doors, but why not just sell your products directly on the app? Take a step out of the process and quickly upload product details and images for free through iBuildApp app builder. You get paid through Paypal, and you hardly have to maintain the website store after setup. How do you go about letting people know that your app is even available? Once people start downloading the app, is there a way to see how many people are stopping by everyday? These powerful features are available through iBuildApp Mobile App Builder, so that you can turn your app into a marketing portal. Stop thinking about making money with your mobile app and just do it. Stop wondering how people are using your mobile app and look at the analytics. The best features include graphs and data for you to understand how many people are visiting and downloading your app, promotional tools for sharing the app with customers, notifications to let users know when you have a big promotion coming up and ad revenue to make money from your app. Are you an author who needs to show your website sales pages through your app? Do you want your customers to find your hair salon on a mobile map when they are coming home from work? These little modules on your mobile app are the difference between you making money with your app and not. Click here to see the many other modules you can activate for free with the iBuildApp app builder. Mobile App Builder interface. Typical website builders don’t have the opportunity you have with iBuildApp. If you run into a problem, you can go to the iBuildApp support page and see if other people are having the same problem. Chat in the Community Forum, submit a request at any time throughout the day, or simply walk through some of the FAQs. 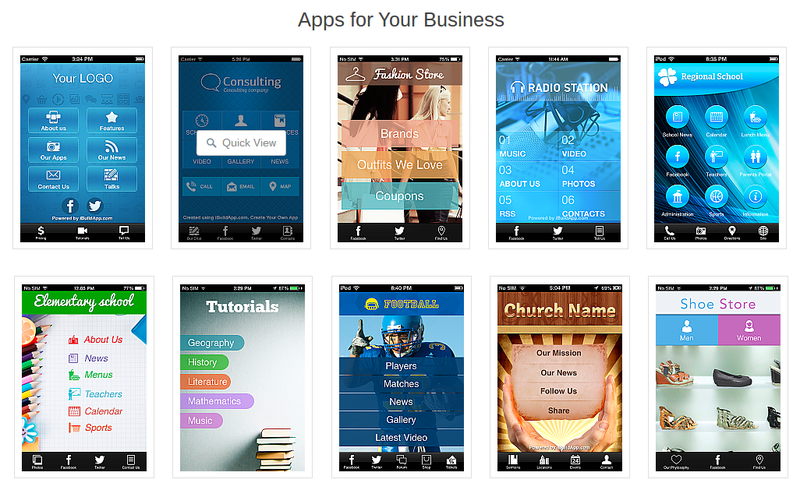 You are never on your own with iBuildApp, making it more of a supercharged mobile app builder. Your business is in the hands of professionals who care about how nice your app looks to your website customers. Let us know in the comments if you have used iBuildApp in the past. Do you have any questions about how this platform is more than just a nice addition to Godaddy website builder? Share your thoughts on what new features you would like to see from iBuildApp to make your experience even better.